Growing a business can really put you to the test. At times, it’s exhilarating. Other times, it’s terrifying. And when the going gets tough, the pressure and stress can feel overwhelming. We get that. At Triple Twist we help women growing their business ride the entrepreneurial rollercoaster in style and enjoy it. We believe you can grow a thriving business and have a lifestyle you love. Using our unique triple-twist on business and personal growth we will show you how. What the heck does it mean to triple-twist? The Triple Twist experience is a three-prong approach designed to get you real results. Mentoring - to expand your personal growth, the potential of your business and the impact you have in your community. Mastery - focus on your ideal business model, marketing/sales, operations and customer focus to growth your business exponentially with live training and co-working. We make building your business a personally rewarding experience in the company of other like-minded female entrepreneurs through our unique Mentoring Dinners, Mingle and Masterminding Events, Masterminding Workshops and Intensive experiences. There's so much power in community. The kind of community where people talk and learn from each other. We bring together smart friendly women to meet, mingle and mentor each other. To have conversations that reap new levels of ambition and intention. Where people expand their comfort zone through creative conversations that bring fresh perspectives, generate energy and drive action with greater courage and confidence. Want to to find your community of mentors? Join other ambitious women to meet, eat and be inspired. Our Triple Twist Mentoring Dinners are perfect to chat business and life in a meaningful way. Think of it as a mentoring and masterminding event with a fun and social twist. Sign up with your email address to receive news and update about Triple Twist. Thank you for joining our e-letter list. We look forward to sending news and updates about Triple Twist very soon. Meet Natalie Sisson and Julie Treanor. 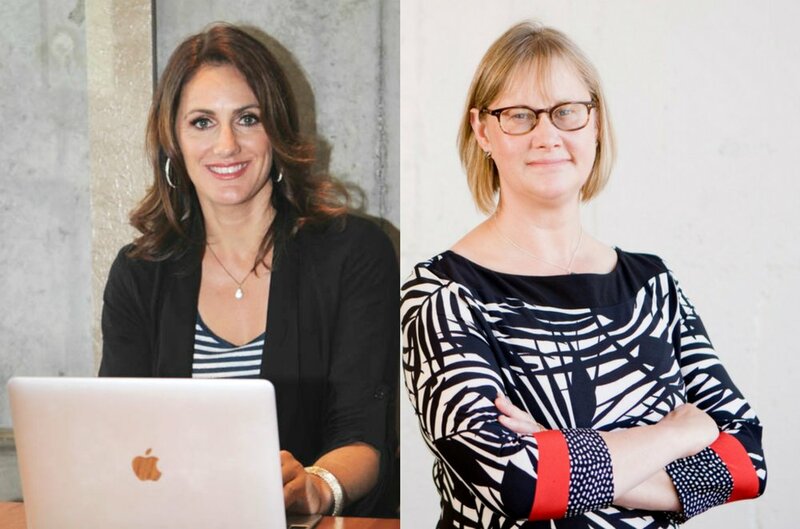 We are the team behind Triple Twist who have joined forces to combine over 15 years' business experience to ensure New Zealand Entrepreneurs design and grow their businesses and create their ideal lifestyles. Ready to take the next step and level-up? Triple Twist is especially for women growing businesses. Whether you're a company founder, business owner or solo-entrepreneur, our unique three-month Triple Twist Experience could right for you.